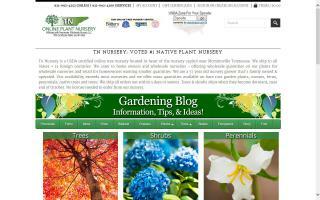 DNT native plant nursery is an online tree nursery located in Tennessee. Our plant nursery specializes in native and woody perennial plants, ferns, flowering bulbs and grasses as well as live stakes and pond plants. WE are located on the border of Putnam and Jackson counties, near Baxter, TN. In business since 1987. 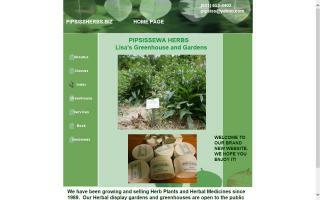 Organically grown herb plants, bulk medicinal herbs, and herbal products. Specializing in medicinal and Native American species. Greenhouse sells more than 150 species of potted herb starts April thru Sept by appointment. Free garden tours of herb and wildflower gardens by appointment. Classes and Workshops in herbal medicine for individuals and groups taught by Lisa Bedner, RN, AHG, nationally certified Medical Herbalist. Native American medicines for sale at the farm and on line. We grow many varieties of vegetables, herbs, and flowers. We offer many of these as plants or as the final product. You can check our website for farmers markets schedules or to even make purchases. Tn Nurseries is an online garden plant nursery located in Tennessee. Our online nursery has a full wholesale selection of perennial plants, grasses, fern plants, wetland plants, natives, ground covers, and live stakes for any restoration planting. Tree Nursery company is an online tree nursery specializing in quality and wholesale nursery trees as well as shrubs, perennials, ferns, wetland plants, and vines.